Volumizer reinforced with creatine and arginine. Maximum post-training development! Tank by Muscle Army is the definitive weapon in your fight against weight gain. It guarantees to provide your body with the nutrients it needs when it most needs them, after your tough training session! Creatine. This is one of the products that provides its consumers with the best results. It will help you to increase potential strength, reducing recovery time between series, as well as increasing lean, fat-free muscle mass. L-Arginine. Is an amino acid precursor to nitric oxide. This substance that your body will secrete once you have consumed L-arginine, will increase the blood flow through your blood vessels, thereby obtaining a higher level of oxygenation. This fact will be decisive in enabling your organism to admit the maximum amount of oxygen as well as nutrients towards the cell. Protein. The builder macro-nutrient. Without it, muscle development is not possible. 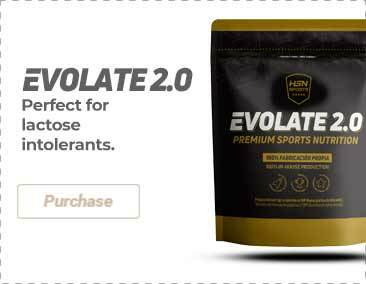 In this case, a combination of ultra-filtered, quick absorption whey protein together with a protein of slower digestion, Micellar Casein, is supplied in combination. This duo causes a high nitrogenised balance for longer. This in turn translates into maintaining an anabolic state for longer, prolonging muscle growth! Carbohydrates. Are fundamental to guarantee the energy supply that will fill depleted reserves following high intensity training. A combination is included of both fast and slow absorption carbohydrates, to maximize and refill glycogen reserves. Complex of Electrolytes. Are the minerals that the body needs, having lost them as a consequence of physical stress, and just like proteins and carbohydrates, it is necessary to replace them for the correct working order of the physiological functions that are relevant to contractile muscle activity. Vitamin C and B6. Improves absorption of nutrients, exercising an antioxidant function and supporting the activity of the immune system. Undoubtedly, thanks to Tank, the most critical part of your plan, that of recovery, will be undertaken with maxim guarantees! Maltodextrin, Dextrose, Whey Protein Ultrafiltrated, Micellar Casein Protein, Coconut Powder (10-12%), MicronTec Micronized Creatine Monohydrate, L-Arginine HCl, Thickener (Xanthan Gum), Flavourings (FERM Chocolate, Chocolate, Creamy Vanilla), Dipotassium Phosphate hydrogenated, Sweeteners (Acesulfame K, Sucralose), Ascorbic Acid, Momordica charantia extract (Bitter Melon), pyridoxine HCl. Dilute 1 dose (120g) in 500ml of water. Take it preferably just after training.